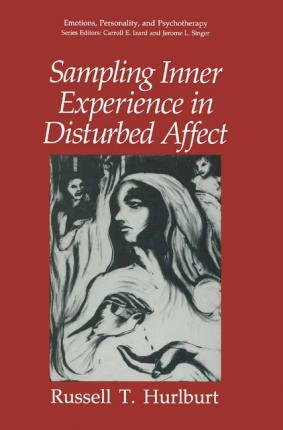 Following up on his groundbreaking 1990 work Sampling Normal and Schizophrenic Inner Experience, Dr. Hurlburt delineates the development of his descriptive sampling method across numerous case studies of depressed, anxious, bulimic, and borderline personalities. Though controversial, the method effectively demonstrates that an `introspective' technique can provide compelling, vivid descriptions of patients, as well as make distinctions between diagnostic groups. Illustrations note XIV, 250 p.
Introduction and Method. A Comment to Suspend the Introspection Controversy. From Hypomania to Depression: A Slightly Hypomaniac Student. Normal Affect: A Medical Student with a Period of Dysphoria. A Graduate Student with Periods of Depression. A Depressed Resident of a Halfway House. Inner Experience from Hypomania to Depression. Bulimia: A Bulimic Operating Room Nurse. A Bulimic Teacher. Inner Experience in Bulimia. Anxiety: A Biology Student with Panic Attacks. A Graduate Student with Test Anxiety. Inner Experience in Anxiety. Borderline Personality: A Bank Teller with no Figure/Ground Phenomena in Perception. Postscript: Discussion. Index.